I began in hospitality at age 15 for a fast food organisation and moved to the top of the junior ranks by the end of the year. I left a year later to work in the produce department for a major supermarket, gaining an understanding for the process of the food industry. 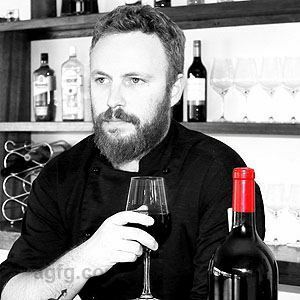 Upon completion of the HSC I moved to Sydney to find my feet under the guidance of my cousin who was a successful Executive Chef and had many ties to people in the restaurant realm. I started at the bottom as a kitchen hand for a temping agency which saw me working in upwards of at least 3 different kitchens a week. With a will to impress and exceed at any given task, I was promoted to chef’s assistant within months, though due to my lack of qualification and knowledge, I was limited. When the opportunity to leave and travel to the other side of the country to pursue an apprenticeship in Darwin arose, I was glad to take it. 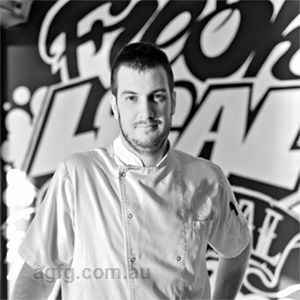 My cousin and I became 2/3 of a culinary team that opened one of Darwin’s most successful restaurants. 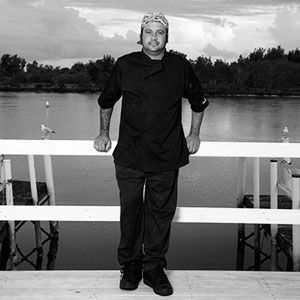 It was there that I began to learn the ins and outs of not just being a chef, but the business side of things too. Almost two years of work had passed and paid off and the success of the restaurant was assured. I then returned to Sydney to expand my horizons and skills. 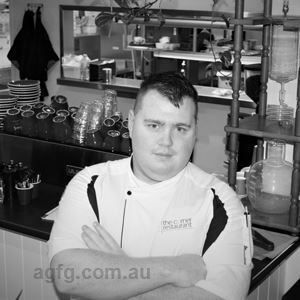 Sydney, for a young chef, is a playground full of excitement, wonder and peril, requiring a vast knowledge of produce, demanding hours and a pride of work that is as infectious and exhausting as it is rewarding. By the age of 22 I had become Head Chef of an Italian inspired cafe/restaurant that had revenue of over a million dollars a year. After the successful stint in Sydney, my desire to return to the country led me back to Armidale and now to Inverell. Yes and no. I aspired to be an architect when I was young because I loved to create and design, though a passion for food was undeniable. I guess I found the perfect marriage in being a Chef. I love Australian produce, though I have deep respect for worldwide cuisine. I don’t believe in fusion per se though I do believe in a partnership of flavours, exotic or not. My style is letting an ingredient speak for itself and respecting it, then arranging it to tempt the eye and taste buds. I don’t tend to enjoy the works of the celebrity chef’s these days as most of them are single handedly butchering the mystique and values of the craft. I believe Jamie Oliver is doing great things for the industry and the world, and Anthony Bourdain has an impeccable understanding of the insights into a chef’s mind. That aside, I would have to say my greatest inspiration as a young chef was my cousin. He taught me to respect each ingredient and try to understand as much about it as possible. If you define eyebrow raising as ‘quirky’ then the Shark soft taco would have to be the pick, though If you mean ‘enticing’ then it has to be the signature dish. 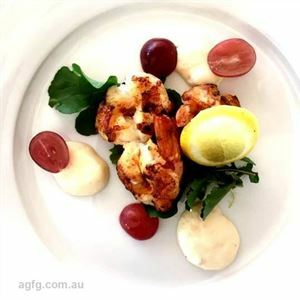 Serving as an a la carte restaurant and function centre, Rhoades on Water is your one-stop shop in Inverell for mid-week dinners and functions such as conferences and weddings. Spanning 300 hectares, the picturesque Copeton Dam Road property is bordered by a hand-built rock wall and boasts an open area for kids and pets to roam in as well as an idyllic lake filled with Murray cod. Meanwhile, hungry guests can look forward to a fresh menu that focuses on local produce – think seared scallops with chorizo, black bean and shallot and crispy skin chicken breast with grilled zucchini ribbons, potato rosti and mushroom ragout before finishing with the lemon myrtle crème brûlée with almond tuille for dessert.